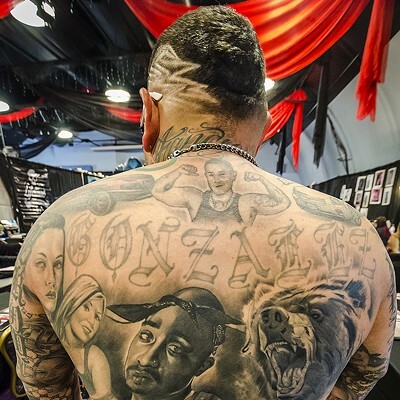 "Gucci" commits to some icons by Juan Gonzalez of Exclusive Ink also from Salinas, California. 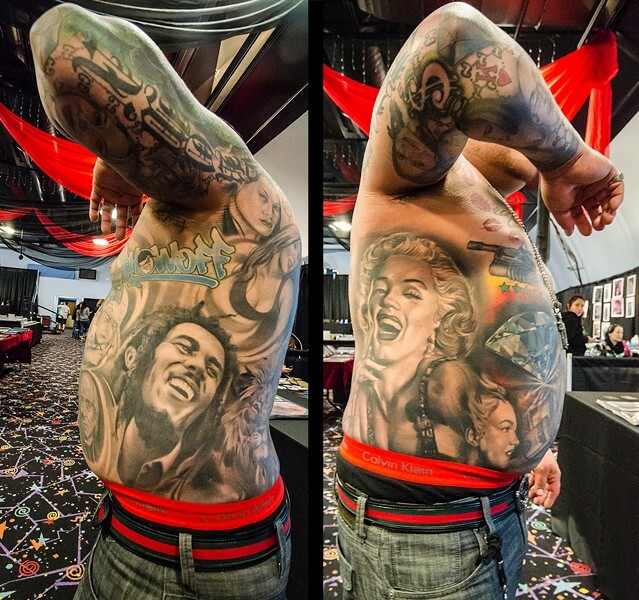 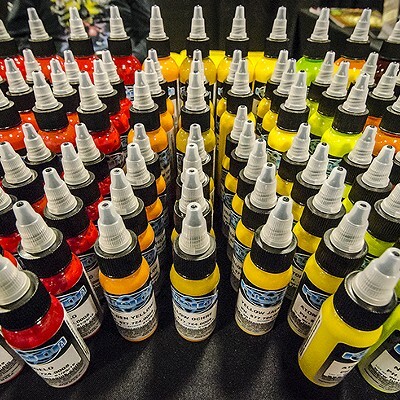 Lots of creative body art was on display at the seventh annual Inked Hearts Tattoo Expo at the Blue Lake Casino and Hotel on Feb. 4 through Feb. 7. 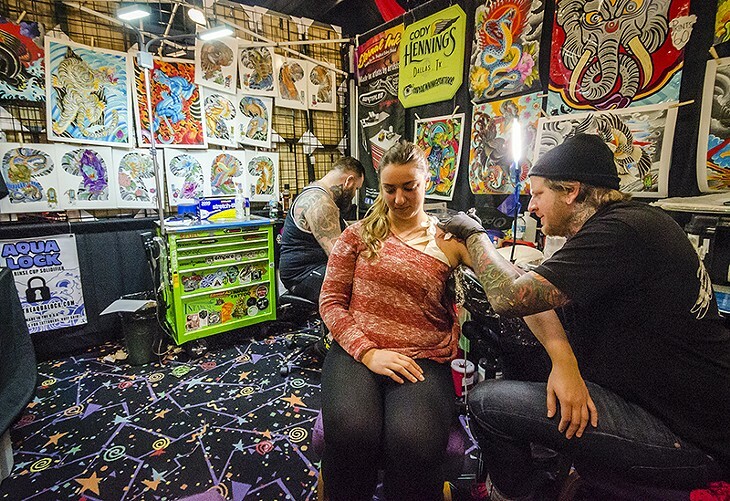 Over 20 invited tattoo artists from all over the U.S. were booked up during most of the long weekend. 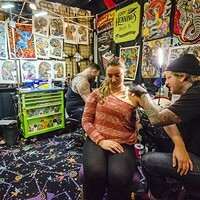 Check out the slideshow below for photos from the day. 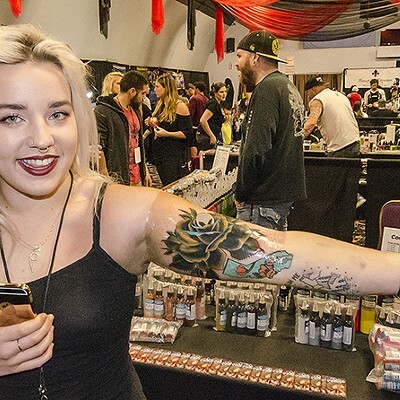 Attendees signed up for and sat through their tattoos or checked out the “flash” artwork and the vendors' wares. 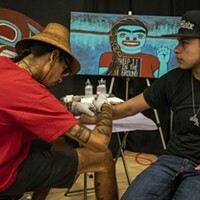 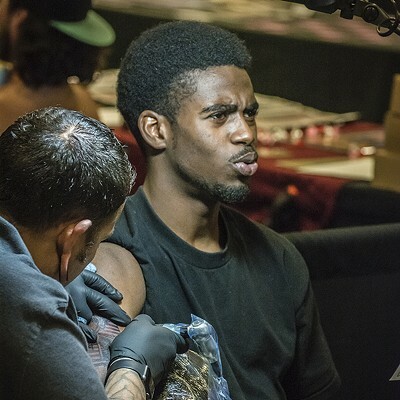 The days ended with performances by Marquese Scott and Sam Greenspan, as well as tattoo contests with categories such as Best Black and White, Best Traditional, Best Leg, Best Back, Best Portrait, Best Color, Best Tribal, Best of Day and Best of Show. 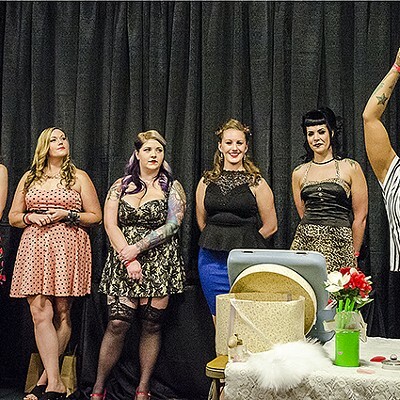 Stacey McGruder of Eureka won this year's Miss Inked Hearts Contest on Friday evening, and David Couch, also of Eureka, picked up awards for Best of Day and the Expo’s Best of Show on Sunday.